This teak deck table for a deck in Wynnewood is made of solid teak purchased from Hearne Hardwoods. 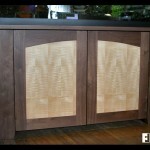 The tapered legs mimic the style of some of the other deck furniture. 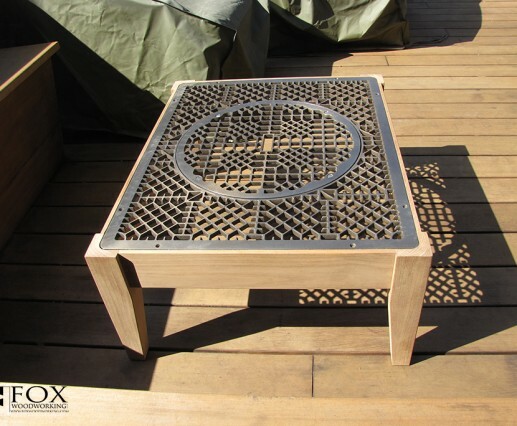 The inlaid metal grate was provided by the client and dictated the dimensions of the table base. 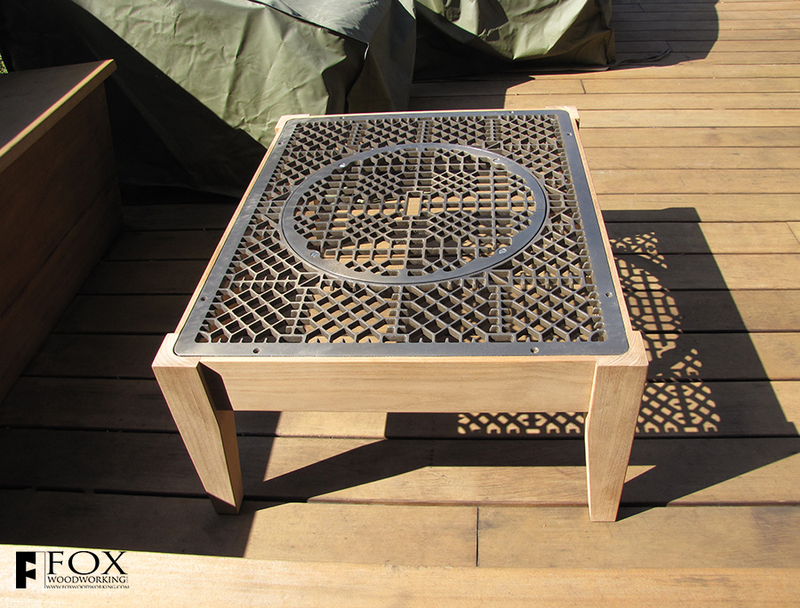 While the teak is unfinished and will develop a nice patina as it ages, the metal top was sandblasted and powder coated with a clear finish. If you have any questions, please either contact us or leave a comment below. No Comments Yet. Why not be the first to comment?